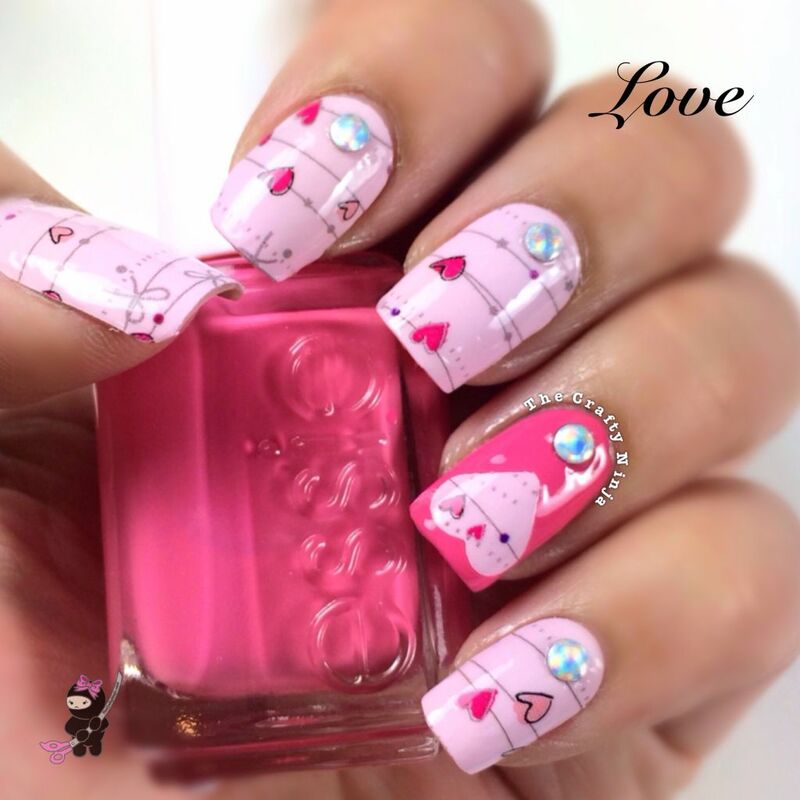 I received some Incoco Nail Polish Appliqués from the 2014 Sweet Surprise Valentine’s Day Collection and I’m head over heels in love with the pretty pink nail polish appliqués. 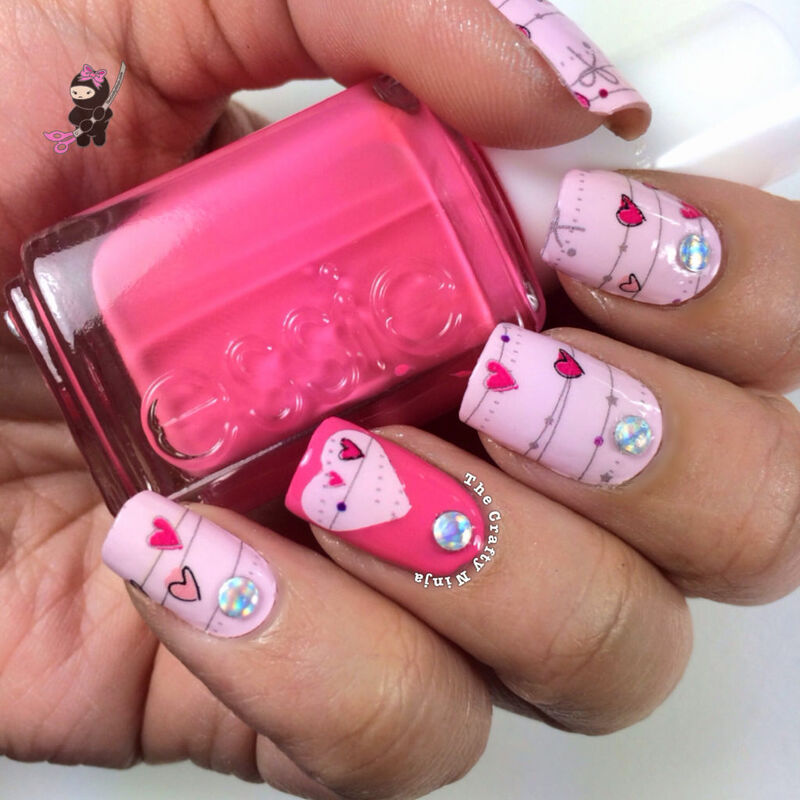 I used the Love Spell appliqué: “Swooning, giggling, and lovey-dovey doodles are well-known side effects of a powerful Love Spell.” I also added some Holographic nail studs from Daily Charme. 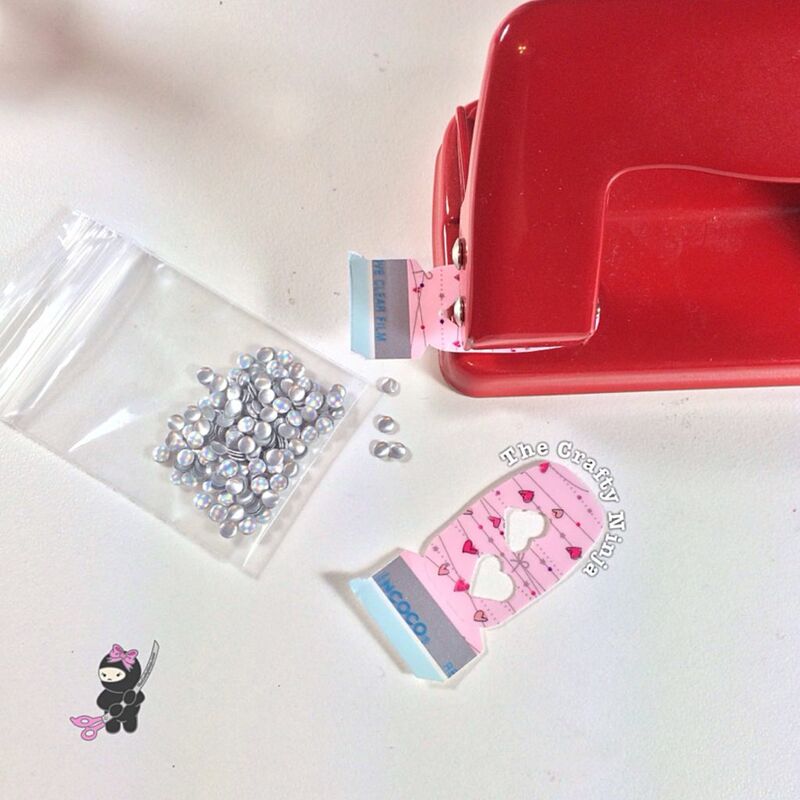 I created the DIY heart nails sticker using a Heart Craft Punch, similar one here.